The Gregory Mountain Products Baltoro 75L hiking backpack is here to make your adventures better. Never run out of space to store your items ever again as this backpack gives you all the space you ever need for the longest of treks. The Gregory Baltoro 75L packs in a wide array of features and has a very unique, ergonomic design. This backpack won the Backpacker’s Magazine 2015 Editor’s Choice Gold Award and is definitely one of the best backpacks in the market. This extended trip-pack has a fully customizable A3 Suspension System that feels light and easy even when packed to its full capacity. 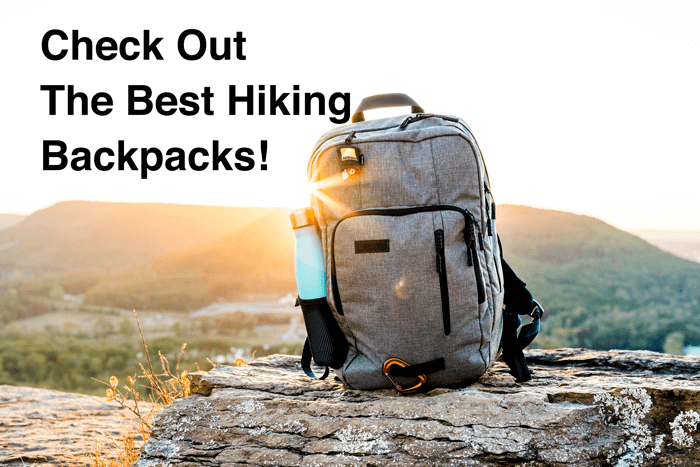 So if you are thinking of starting your hiking journey, this would be the best backpack for you to choose. 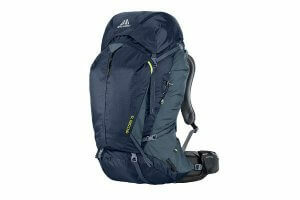 Gregory is one of the most respected brands in the field of hiking backpacks. The sheer quality of the backpacks by this brand are unmatched and they are brilliantly designed to make your treks much more convenient. The Baltoro 75L has been redesigned by Gregory to make it much lighter than its previous models allowing you to comfortably pack in even higher amounts of load. The backpack comes with a number of organizational options which allow more versatility to its use. The Baltoro 75L is a great backpack for multi-day treks and for long expeditions. Thinking Gregory Mountain Products? … Get it on sale here. The Baltoro 75L Hiking Backpack allows you to carry around 60 pounds of load on your back with good overall comfort. This backpack feels quite light and agile even when you’re carrying huge amounts of load. This can be attributed primarily to the brilliant suspension system that facilitates movement and makes this a very competitive backpack in its class. The A3 Suspension automatically adapts to your body and the terrain, making the backpack feel deceptively lightweight even at its full capacity. The hip belt featured in this backpack is yet another feature that goes a long way in making the hiking backpack feel as comfortable as it does. It has a wide range of adjustment options that ensures a secure fit, irrespective of the size of your hips. The hip belt is pre-curved and ergonomically tapered in order to ensure a comfortable fit on your hips. It is also thickly padded and features the LifeSpan foam with a new easy change design to give you a custom fit of your choice. The Baltoro 75 ensures you have a comfortable and secure fit even when you’re doing fast-moving, highly aerobic activities. This is made sure by a specially vented back panel which uses foam and a silicone lumbar grip to keep the backpack from slipping out of position. It also has a removable EVA shim which offers the user two stages of contouring in the lumbar region. With the Gregory Baltoro 75L backpack, you will never have to worry about not having enough space ever again. This backpack has a total capacity of 75L which is s a staggering 4500 cubic inches of space for you to store your stuff. The backpack also has several compartments that lets you organize your stuff into the different spaces. It has 3 specific entry points to the main compartment – one at the top, bottom and a huge U-Shaped entry towards the front. There are vertical external side pockets on both the sides which allows you to store additional gear. The Baltoro 75L features a TPU-Coated hip belt compartment that can be used to store small items such as smartphones or cameras. This compartment is highly weather resistant and has a YKK AquaGuard zipper closure. A sidewinder bottle hostler, which is a beloved Gregory feature, is also provided in this backpack. This side-mounted, ergonomic, stow-away pocket has a mesh string closure that can be used for securing loose items. You also get a sleeping bag compartment which can be accessed externally and has a removable internal divider. Where do I get the best deal? Get your backpack here! Made from 100% Ballistic Wave Polyester, the Gregory Baltoro 75L Hiking Backpack is extremely sturdy and durable.After testing the backpack out for several weeks, the zippers, pockets and fabrics showed absolutely no damage. It is definitely one of the toughest backpacks that you can get your hands on. One of the main features that makes this backpack such a great performer is the immense stability it provides. When packed with relatively mild weights of around 40-50 pounds, it felt like a much smaller backpack and remained in place throughout the journey. It almost feels like an extension of your own body when moving through the trail and it never felt like I was carrying a fully loaded hiking backpack. Overall, the Gregory Baltoro 75L Hiking Backpack is a perfect choice for all kinds of outdoor enthusiasts looking to go on a multiple day trek or an expedition. While the price may be a little bit steep but it is totally worth investing in this quality backpack that is sure to serve you for a lifetime.